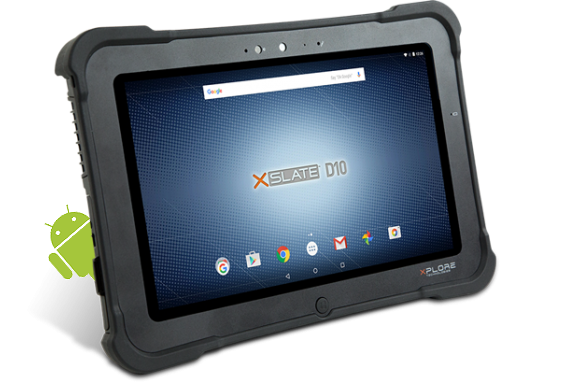 The hardened exterior, doubly-powerful interior and "all ports, all the time" connectivity of the XSLATE D10 rugged tablet gives the Android™ 6.0.1, Marshmallow OS a sweet, but tough, new edge over its competition outside the office and, well, everywhere under the sun. With an IP65 rating and 10.1” sunlight-viewable display, this supremely rugged tablet is ready for your job's most extreme elements. 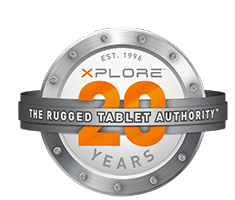 Step outside the cliché with Xplore’s XSLATE D10 Fully Rugged Tablet. Driven by Android 5.1, Lollipop and powered by Intel’s Atom™ CPU, this bigger, stronger, and more secure tablet will win at every workplace challenge. The 10.1” C1Z2/ATEX compliant D10 enables HAZLOC productivity, and it has more connectivity and performance capabilities than any other Android mobile PC. This rugged tablet proves that Android can mean (tough) business.